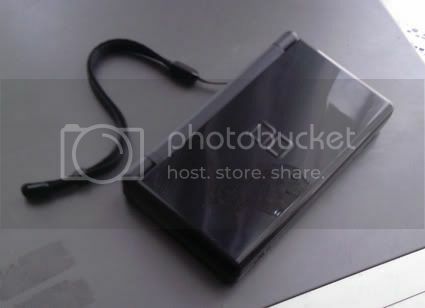 Discussion in 'NDS - Flashcarts and Accessories' started by SpaceJump, Jun 24, 2006. Now that I knew the DSL wouldn't have that thumb strap included in the US and Europe, I kept mine of the old DS. But I heard it scratches the DS Lite's touch screen. Anyone have any experiences? It sscratched my old DS screen. It will so the same to this. Anyway, it makes the ds look ugly. If you want a strap from a safety perspective since the Lite is very slippery, get one of those white ones that are used for mobile phones. They look much better. If you want to be a bit controversial, this hand strap isnt bad. The case isnt too shabby either. The point is I don't need it for carrying, I need the thumb thing for playing MPH cause I don't like playing it with stylus. Well is you have a black DS, the old strap looks just fine. Mine has the nintendo logo faded out a bit but it still looks cool...Dunno how it would look on a white DS. As for the scratching...I'd advise to get a decent screen protector, I used one on my old DS and my screen was safe from scratches. 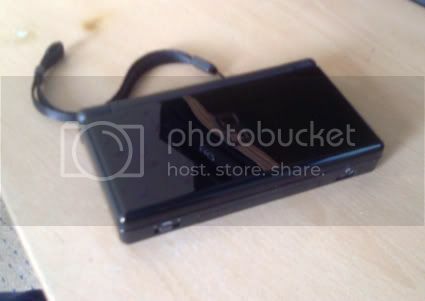 Gonna get one for my DSLite fairly soon....but right now, my DS thumb strap is just there to look kool. can you get that anywhere other than lik-sang? How about in stores? ive had screen protector on my old ds and they are garbage the stylus is way off with it on screen and the bottom screen was so foggy it almost killed my eyesight. Nintendo them selves recommend NOT to use screen protectors. i'm just curious, why does liksang keep you from buying it?? but can't you also order it from liksang-europe? btw: germany charges import taxes too but only for commercial packages worth more than EUR 20 (including shipping), but i assume that's not the case in sweden. If you want the original Nintendo DS one, you could buy it from the source. They sell it for $3.95 USD. I do not know if they have an international store or not. I don't have any experience with it though. I was somewhat irritated that the Lite didn't come with a case, pouch, or wrist strap of any kind when I got it. Does the comfort stylus enter in the stylus port on the DS lite? no. it's to big to do that. wait, i'll take a photo of both. Hmmm.. that comfort stylus looks might awesome. Can anyone comment on whether or not it's better than the nintendo ds thumb strap part? Thumb Strap - Where to buy?